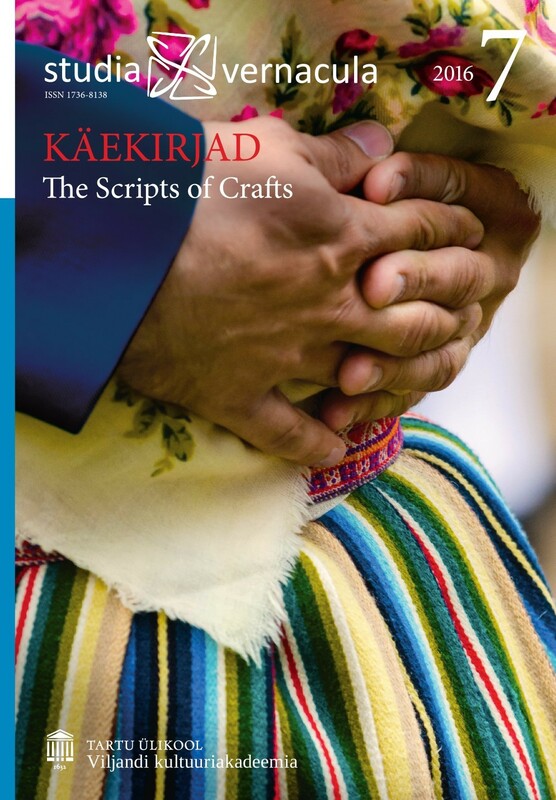 The contemporary study, making and wearing of national costumes worn in 19th-century Estonian peasant culture requires both good knowledge of the objects and an awareness of the understandings, attitudes and world view related to peasant culture. This article sheds light on the values associated with the national costumes worn in the parish of Vändra. It concentrates on the rational way of thinking connected to national costumes and related aesthetic and moral beliefs. The term “rationality” here denotes, first and foremost, reasonable and purposeful behaviour arising from practical considerations. The study of meaningfulness sheds light on the background and objectives of the aesthetic choices underlying the design of national costumes, but also on the messages conveyed with the help of objects. In addition to literature concerning national costumes, the manuscripts found in the Estonian National Museum concerning the clothes worn in the parish of Vändra and neighbouring parishes and the observations made based on single objects are also used as sources. National costumes are used even today as a type of clothing that shows national belonging. 19th-century understandings and evaluations related to national costumes can today be studied indirectly. They manifest themselves in the way national costumes were made and worn and to a great extent were influenced by the environment in which the peasants lived. The obtaining of clothes meant a lot of work for peasants in the 19th century, starting with the growing and processing of the material and ending with the making and finishing of the clothes. Popular materials were easily accessible and could be processed at home, although they required a lot of work. As the obtaining of linen and woollen yarn and the weaving of cloth were labour-intensive processes, patterns for the sewing of clothes had to be as practical as possible. Great attention was paid to increasing the durability of clothes and to the easiest possible maintenance thereof. In the choice of material and the finishing of clothing, the climate, the ease of use and the context of use were taken into consideration. Both textiles and leather were used to the maximum. Woollen cloth was considered a more valuable material than linen textile, and this could be explained by the latter wearing out sooner. Besides practical aspects, the aesthetic result was also considered important – in addition to aspiring for beauty, many items of clothing represented the wearer’s social status, and people believed in the protective power of clothing. When wearing national costumes, one had to take into account the system of communal values. Unfortunately, very little material has been recorded about these understandings, and the field is difficult to access for researchers studying individual objects. National costumes reflect the way of life and beliefs of the people of the 19th century. In the study of national costumes – where alongside material sources little information has been recorded as regards respective understandings – this knowledge enables researchers to discover people’s frame of mind based on the end results.